This pic would be more accurate if it showed people dying. 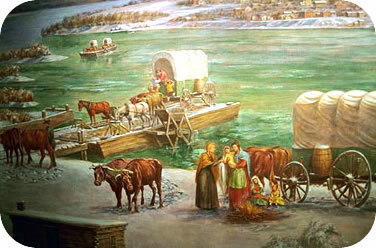 The plight of the pioneers was not a pleasant one. ... and the dude who looked over the Salt Lake Valley and said, in a large booming voice: "This here's the place. Let's put up some tents." 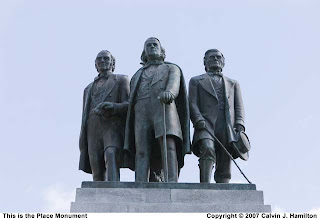 Brigham Young. And his sidekicks. That guy in the middle is my great great great grandfather. 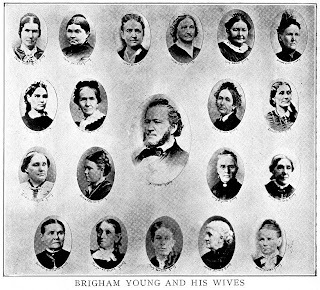 Once a year, the Daughters of Brigham Young get together for lunch, and we divide ourselves up according to which wife we are descended from. 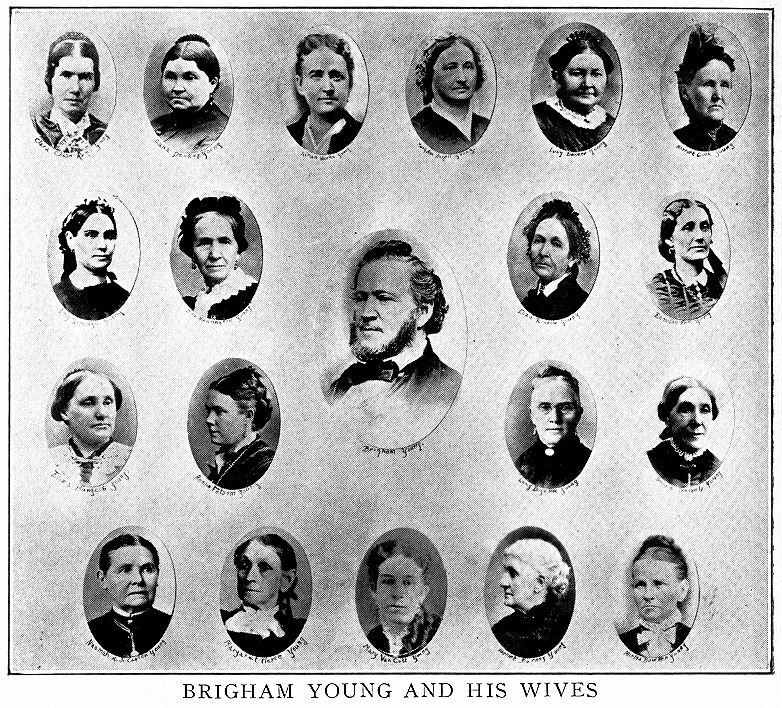 I always sit with the other descendants of the "Third Wife from the Left"
If you've read EVERNEATH, you may notice a similarity between the Daughters of Brigham Young and another group in the book. There's some behind the scenes trivia for you! To celebrate Pioneer Day, we set off firecrackers, just like the pioneers would wish us to do. 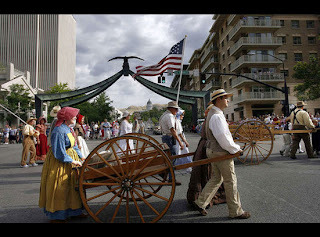 Sometimes we dress as pioneers and walk down State Street. 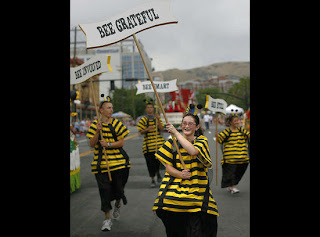 Sometimes we dress as Bumble Bees. You can almost hear the whispers of our ancestors saying, "That'll do, Pig. That'll do." So, these are just some interesting tidbits about me and where I come from. 1. My first ever podcast is up! Robison Wells (VARIANT from HarperCollins) and his cohorts Sarah Eden and Marion Jensen invited me to record two of their weekly podcasts at The Appendix. 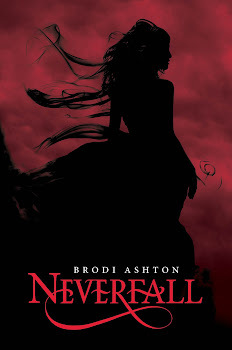 In the first one, we discuss perseverance, editing, and other funny stuff. Shenanigans ensue. So, take a listen! I heart it so much, I think I'm in love. In love long time. I keep thinking of all the things I want to do with it! T-shirts? Stickers? Tattoos? Toilet Paper? What do you think? Isn't it cool? 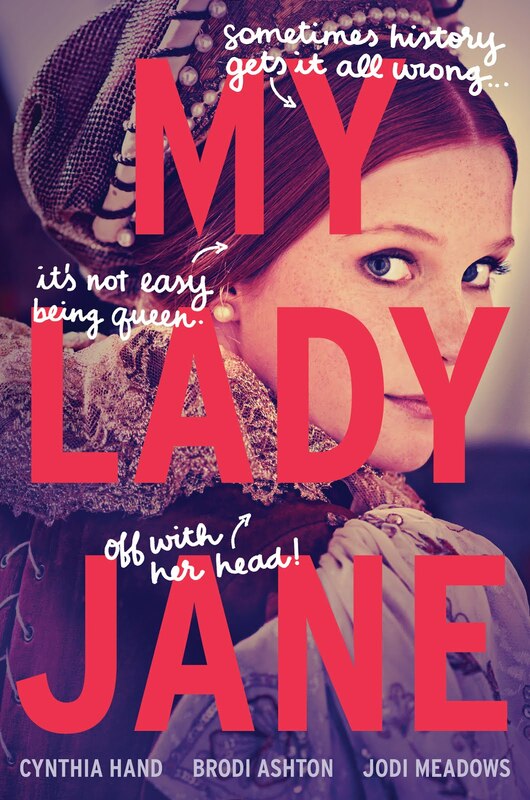 And... which wife are you descended from? 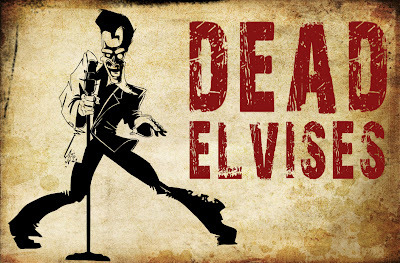 I love the Dead Elvises picture! So cool! I can't wait to see what you finally decide to do with it. Maybe I will wallpaper my house! Yay for your guest appearance on The Appendix! So cool! Can't wait to listen! So, are you saying that Brigham Young's daughters all grow up thinking that they could be the next Emma Smith? They just have to survive the trek and overthrow her in the next life? Cool! Robin- Let me know how the podcast sounds. I'm way to nervous to hear my own voice. There's no way I'm listening. Andrea- Then we can step inside the ComicCon tent and be all, "This really IS the place!" Let's do it. i think i need a t-shirt ....i am related to NONE of the B.Y. wives...i am however thinking of starting my OWN "sister wife" clan. Any takers? Dorien- I'm in! You do the cooking and the cleaning, I'll be in charge of the monthly newsletter. Deal? And you did NOT sound nasaly. Hey, we're related! You, me, and half of Utah. Wife number two. Although her son (my ancestor) was sort of a loser. We don't talk about him. Can't wait to hear the podcast. I'm sure you sound lovely. LOL, this really had me smiling. :) Half of my ancestors didn't come to the U.S. until the 20th century (when they fled fascists in Europe), and the others didn't give me nearly as interesting a family history as yours...and boy, I thought having an ancestor who was widowed three times was hard to fill out on those family tree forms! Brodi, I would so wear a t-shirt with the Dead Elvises on it. That picture seriously rocks. "That'll do, Pig. That'll do." ROFL I will never look at the Pioneer Day Parade the same again. Elena- Don't you love those ancestors no one ever talks about? I have a few of those too! Glad to hear we're related. Faith- Oh yeah, my family tree very much resembles a bowl of spaghetti. Donna- I really want to make those t-shirts now! How do I go about doing that? someone? Anyone? I'm in! Watch out comi con here we come! You belong to Daughters of Brigham Young? I didn't know it existed. Do you eat lunch at the Lion House? Yummy! I'd be at the "3rd wife from the left" table with you. We must be related! :) Go Susa B.! 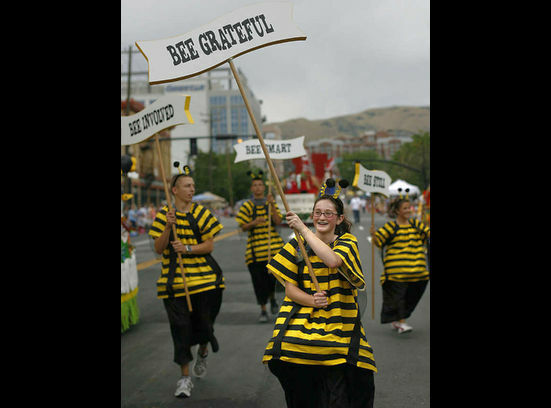 Susie- Actually I think it's called Granddaughters of Brigham Young. And you have to know it existed, because I swear I've seen you there at some point! Brodi--I don't know much about making t-shirts, but I read an amazing book lately, where the characters seemed to know something about it. Perhaps we can ask the author.... Oh, wait. And while you're making them, I want one with the cover on it. And a life-size red dress that makes me look THAT good. And, while we're talking swag, please tell me you're doing Dead Elvis guitar picks. I just wanted to give you a heartfelt "thank you" for your words on that podcast. Robin- here's a secret: I'm making Dead Elvis guitar picks! Leigh Ann- I'm so happy to hear this! Thanks for the shout out! Did I miss the fact somewhere that you are descended from Brigham, and my g-g-g-grandfather, Heber, mounts the "This is the Place" monument right next to your grandpa? Very cool. Does that make us cousins by some weird mormon, non-biological, relationship?